1)Mix the warm water and yeast in a small bowl to blend. Let stand, until the yeast dissolves, for about 5 mins. Mix together the flour, sugar and salt in a food processor to blend. With the machine running, add the yeast mixture and blend just until the dough forms. Turn the dough out onto lightly floured surface and knead, until smooth, for about 1 min. Transfer the dough to a large oiled bowl and turn the dough to coat with the oil. Cover the bowl with plastic wrap and set aside in a warm draft-free area, until the dough doubles in volume, for about 1 hour. Punch the down dough and divide into 2 equal balls. 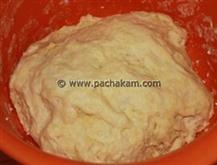 :- The dough can be used immediately or stored airtight in the refrigerator for 1 day. 1)In a large casserole pot, heat the oil over a medium-high flame. Add the onions and garlic and sautT, until the onions are translucent, for about 10 mins. Add the celery, carrots and 1/2 tsp each of salt and pepper. SautT, until all the vegetables are soft, for about 10 mins. Add the tomatoes and bay leaves, and simmer uncovered over low heat, until the sauce thickens, for about 1 hour. 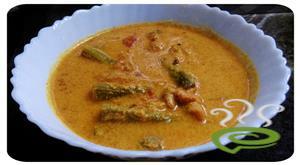 :- The sauce can be made 1 day ahead. Cool, then cover and refrigerate. Re warm over medium heat before using. 1)Position 1 oven rack in the center and the second rack on the bottom of the oven and preheat to 450 degrees F.
Roll out each piece of pizza dough into a 10 to 11-inch round by hand. :- You could use a rolling pin if you want. Transfer 1 dough to each prepared baking sheet. Spoon the marinara sauce over the dough, dividing equally and leaving a 1-inch border around each pizza. Sprinkle little cheese over the sauce. Arrange the veggies, chicken and pineapple in layers over the cheeses. Sprinkle the remaining cheese over it. Bake the pizzas, until the crusts are crisp and brown on the bottom and the cheese is melted on top, for about 12 mins. Cut the pizza into slices. 1)Marinara sauce is available in all grocery stores. Try Ragu or Prego pasta marinara sauce. 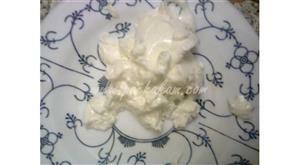 2)You can use margarine in pizza dough instead of olive oil for better taste. Use olive oil to control cholesterol. 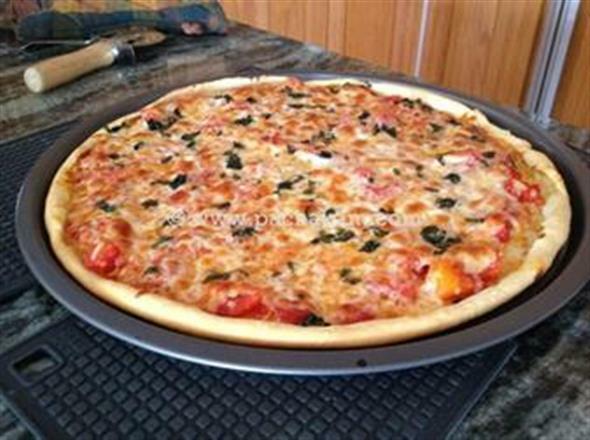 3)If you don`t have time to make pizza dough at home, u can buy a pizza base and marinara sauce from your favorite grocery shop and all u have to do is to arrange the toppings and bake it. 4)Nothing to worry, if u don¦t have a food processor. You can knead the dough by hand but make sure the dough is extra smooth than chappathi dough. really awesome!! !i was making pizza for the first time and it came out so well.thanx for such a nice one! !